This game / cheat is no longer functional; this page is available for archival purposes only. Marvel: Avengers Alliance is a turn-based super hero themed action/adventure game from Playdom. Marvel: Avengers Alliance is a social network game based on the 2012 film The Avengers, and other elements of the Marvel Comics universe. In Marvel: Avengers Alliance, players manage a team of heroes (most of which need to be recruited during play), and control them on turn-based missions. Each mission is presented as a series of events (some of which are optional), with most events involving a turn-based battle between the player’s hero team and a team of enemies. In addition to missions, the player can also send heroes on remote issues using the Flight Deck, and engage other players in PvP (Player versus Player). In PvP, the initiating player controls their team of heroes in a battle with a game-selected adversary’s team, which is controlled by the game’s AI. The game was originally released as promotion for the film The Avengers, however its development has continued into several seasons, adding more content along the way. Press the LeetHax button on the left to access the cheat interface. 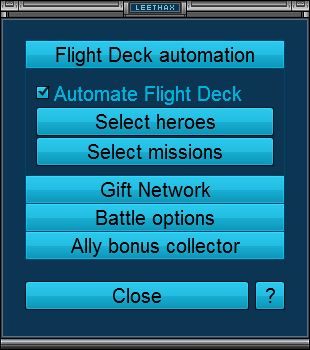 When the “Automate Flight Deck” option is active, you can leave the game open to collect Silver and hero experience over time. The Gift Network is currently not working. A fix is in progress. 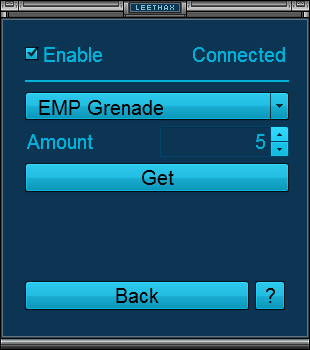 If an error occurs during item obtaining, you may find an item with the description “LH_giftBeacon” in your inventory. You can safely accept or discard it, but trying to “return the favor” can result in strange behavior. If Flight Deck automation doesn’t work, try doing a few flights by yourself. This will usually get it working again. Thank you for all your support. These past few years have been fantastic. As a last effort to help anyone that wants it, here is the link to the Full version. No gimmics. Earn as many CP as you can to unlock those last remaining heroes. Thanks, it's been a pleasure. Best of luck!! Yes i know it's going to die, but I'm playing till the last day anyway. Does anybody know why I have over 100,000,000 silver but it won't let me research the mighty staff for a measly 5,000. It tells me I don't have enough funds. WTF?? @333 you probably don't have enough of the different colored iso that we can get by landing on them on boss spins or buy in the store. Any one know how to do "Million Signature to maintain MAA Facebook"? @333, Removing the "Control Chaos" EISO on Scarlet Witch should do the trick. @million signature: give it up. no number of signatures will save the game. I've seen games die many times and there is always someone who tries this and they kill the game anyway. @ Kevin: Even if you could save the flash portion, it would never work without Disney's supporting servers. @333, you are welcome. Didn't browse through the previous comments before answering, my bad. A big heartfelt THANK YOU to Leethax team for the Firefox MAA addon that helps tremendously in playing this game. Question is the cheat to gold working and would we get banned now should we used the cheat to get gold? @Brandon, read the description - it specifically says gold is uncheatable, always has been. You don't NEED to cheat anyway - everyone's getting 2000 Gold for free within the next five days because the gold on the Spec Op boss roulettes doesn't get added to your tally. @James, Thanks for the advice. An automatic update for this cheat has been released. It should be available immediately; if not, make sure that you are using the latest extension version. thanks for everything with MAA. Important: This game / cheat is no longer functional; this page is available for archival purposes only.